25 September 2017 – The Blue Whale Challenge, a dangerous internet ‘game’ reportedly linked to an increase in teenage suicides across the globe, has begun gaining an alarming momentum in South Asia. It has recently starting claiming victims in Pakistan, where five cases of self-harm have been reported to psychologists and doctors in the Khyber Pakhtunkhwa province last week. The victims include one girl and four boys – all between the ages of 15 to 21. 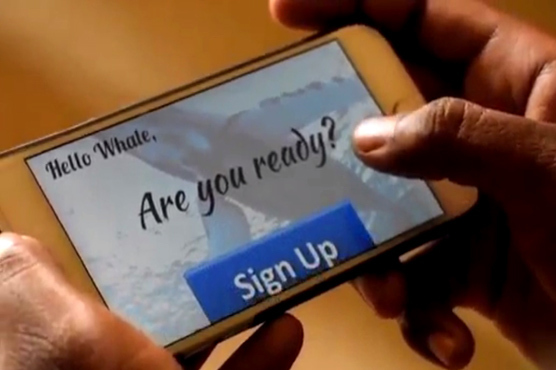 The title of the game is believed to be a reference to an act carried out by some blue whales who appear to beach themselves on purpose to die. It is allegedly controlled by an anonymous online pressure group and the game’s ‘curators’ assign players a daily task for a period of 50 days. Though seemingly harmless at first, the tasks get progressively more gross and inhumane, culminating in the final challenge of committing suicide: the only way to win the game. The challenges are psychologically destabilizing and emotionally and physically taxing, socially isolating participants and making them increasingly susceptible to depressive thoughts and tendencies. The activities include waking up at 4 am for several days in a row, watching scary, psychedelic movies, not talking to anyone, and standing on the edges of high rise buildings. As the challenges get harder, participants are encouraged to physically harm themselves and challenges include cutting one’s lip, poking oneself with a needle and even carving symbols into one’s own skin as signs of loyalty. The perpetrators take advantage of the vulnerable mindsets of lonely teenagers with low self-esteem who are often struggling to be accepted around their peers and are willing to go to any lengths to be daring, “cool”, and accepted in their social circles. The Digital Rights Foundation’s Cyber Harassment Helpline has even received some cases where the victim received a threatening email from an anonymous person pretending to be a Blue Whale curator, and claiming to possess their personal details. Victims have also reported being terrorized that they would be killed if they did not kill themselves. The game first appeared on Vkontakte, a Russian social network where blue whale hashtags were traced to ‘tens of thousands of bots’. It was created in 2013 in Russia by a 21 year old psychology student, Philip Budekin. Between November 2015 and April 2016 it has been linked to the death of 130 teenagers in Russia. Since then, the game has claimed several lives globally, with teenage suicides reported in India, China, Saudi Arabia, Brazil, Argentina, Bulgaria, Italy, and the United States. These include horrific reports of teenagers jumping from buildings, throwing themselves in front of trains and hanging themselves in their closets. The exact nature and presence of the game on the internet is difficult to ascertain or trace because it exists on the dark web. Though it is not openly available on Android and Apple app stores, it has a more insidious presence: it is circulated online through suspicious links and downloaded onto devices or circulated on social media platforms where the game administrators get in touch with users who declare interest though various hashtags that act as signals for the anonymous curators. It is very difficult to regulate or ban content on the dark web and in the face of such insidious threats, the need for the Pakistani government to go beyond the state censorship approach becomes glaringly evident. There is an urgent need for the Pakistan Telecommunication Authority (PTA) and the Cyber Crime Control Wing of the Federal Investigation Agency (FIA) to adopt a more holistic approach to counter these threats such as promoting self regulation and issuing warnings to families and schools. Parents, guardians, and teachers need to play a greater role in educating children on responsible browsing patterns for staying safe online. Particular vigilance needs to be paid to children that are young, fond of playing games on computers or mobile devices or susceptible to mental illness because they are not only vulnerable to the blue whale challenge, but a whole array of online threats – from cyber-bullying to harassment. More broadly, families and educational institutions need to pay greater attention to improving the mental, physical, and emotional well-being of children. Children can find it difficult to stand up to peer pressure but they must know it’s perfectly okay to refuse to take part in trends that make them feel unsafe or scared. Recently, a Pakistani teenager developed an anti-blue whale challenge to combat the blue whale hysteria that has gripped most of the world. Waseem Gul, an 18 year old developed an app composed of a 50-day challenge that is geared towards spreading positivity and making people realize the importance of life. This is an inspirational and commendable effort, one that is indicative of the key role that adolescents can play in improving online safety. It is important to create an environment that is conducive to technological and social innovation with regards to cyber governance; this requires going beyond state censorship and regulation and encouraging values of personal responsibility, accountability, and ownership of the internet. Be on the look out for the blue whale challenge: If you or anyone you know encounters a blue whale, tell an adult, tell a friend and please spread the word. You can also call the cyber crime helpline established by the Digital Rights Foundation on 0800-39393 for psychological, technical, and legal support.